More than twelve years have passed since ISS started providing its residential customer base with a five star service across the audio/visual and home networking/connectivity areas of its business. ISS have Part P electrically qualified engineers and that guarantee means peace of mind for customers using ISS for the first time, and ensures that any work undertaken will be finished to the very highest of safety standards. 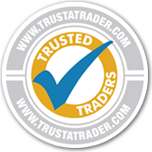 ISS’s positive customer feedback reinforces the company’s vision of always putting the needs of its customers first – an average score of 9.9/10 on checkatrade.com and over 1300 reviews also over 1700 reviews on trustatrader.com with an average of 4.9/5. You can find out which ISS office serves your local area by entering your address or postcode into the following box. You will then be provided with contact details of the office nearest to you. Advances in television technology mean that there are now a great many more television stations to choose from. Hoiwever, gigital televisions are not without their own fair share of connection problems, which can be traced from the aerial, right the way down to the television set itself. ISS can provide an engineer to verify that your TV is setup correctly and can check that your aerial passes a 100% health check, and help clarify what could be the cause of the poor picture on your television. It doesn’t matter whether you’ve got an LCD, LED, Plasma or any other type of SMART flat screen television, our experience in wall mounting and concealed wiring is second to none. From the more traditional wall-mounting solutions for flat screens (out of children's reach), right the way across to swivel mounts for 70" TV's, you can rest assured that when you use ISS, your TV will be fastened securely to the very highest of standards, and just like the cinema, there will be no wires getting in the way of the view. It doesn't matter if it's sky digital, sky plus, sky plus hd, sky 3d or freesat, the fact is that there are a lot of choices now available in the satellite television market. However, if you don’t have the height to install the satellite dish, then you may have been told that you are not able to watch the satellite channels on offer. As it is, ISS has helped many customers resolve the problems the major satellite providers argue makes installations prohibitive. What this means for our customers is that they are able to enjoy all the satellite channels that are available. Whether its a new home cinema installation from Yamaha, right the way up to top of the range Bang and Olufsen systems, we have the expertise to transform your living room or dedicated space into a fully fledged AV home cinema experience to rival that of IMAX! Whether you are wanting to go upgrade from the television through to a 5.1 surround sound system, the ISS engineers can provide you with the complete installation service, right the way through to concealing the many wires that these AV systems use. Sonos is a wireless audio system that makes it possible to have multi-room audio throughout your house, all controlled through a single hand-held remote control. Our home audio engineers can provide you with all the necessary support, from installation and balancing the system through to support on how to operate it and get the most from the system. With more and more connectivity being shared around the house, getting your Iphone, Ipad, or other Android portable device to connect with your wireless network is not as straightforward as it might at first appear. By the same token, Xbox, Playstation’s and Smart televisions connecting to your computer network can reveal a few headaches’s that ISS has been quick to remedy for its clients. ISS has been helping its customers resolve issues connected with home networking problems. We have resolved problems for clients using BT, Virgin, and Sky wireless internet connections. We also resolve problems in the home relating to slow internet and network connectivity. The above list of services are presented to provide a general overview of the types of services that our team of engineers can respond to. ISS understand that its customers sometimes want to have a truly unique experience in their house, and with over 12 years in the business, the ISS technicians have the necessary skills to help realize these experiences in practice. Whether you have ambitious ideas or simply need some support to make your home network or SMART TV work as smoothly as it was sold to you, you can find an ISS engineer nearby.